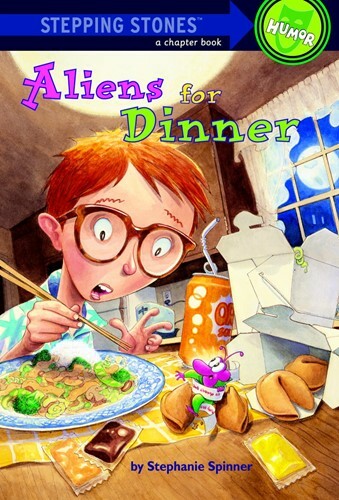 When his fortune cookie cracks open and a tiny pink alien steps out, Richard Bickerstaff knows that he's in for more than a Chinese dinner. And he's right! Aric, that bossy extraterrestrial, needs Richard's help. He's got to keep pollution-loving aliens from turning Earth into a Toxic Waste Theme Park. The trouble is, they've already started, and they're moving fast! Can Richard and Aric stop the total trashing of the planet? Kids will love this very funny Stepping Stones HUMOR title! From the Trade Paperback edition.